Dan’s Philosophy: Through the club fitting process and getting to know you and your abilities, I will combine my passion and enthusiasm along with the technical aspects I’ve learned to find the clubs that are best suited to enhance your enjoyment and love of the game! Worked at a high-end specialty golf store in his hometown of Erie, Pennsylvania. 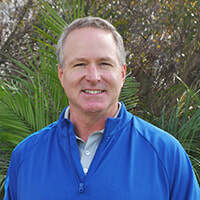 Moved to Carlsbad in 2012 to further his career at the highly awarded and acclaimed Carlsbad Golf Center. Experienced and knowledgeable with launch monitors to ensure proper clubfitting (from the technical aspect).